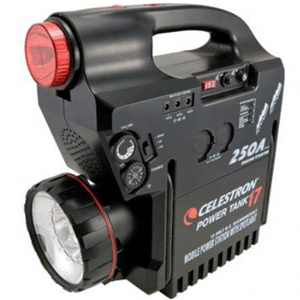 A versatile instrument, the Power Tank 17 doubles as an emergency illuminator or as a power supply for telescope computers, electronic focusers, or other devices which employ a standard cigarette lighter socket. 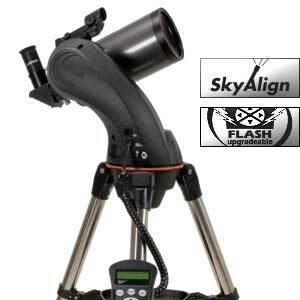 It is a popular choice for powering many different telescopes from many different manufacturers. It is switchable between 110v or 220v AC power for recharging its internal battery, and the Power Tank 17 provides 250 amps of power for five seconds to get your car started in a jam.